designed to support the body’s natural ability to heal itself, so you can be healthier and feel great. Dr. Axe is a refreshing voice of truth. I’ve watched him help thousands of people achieve extraordinary health and I’m proud to call him my friend. Dr. Axe is always on the cutting edge of health and nutrition. He’s one of the leading voices on healing with real, natural foods and he serves at an incredibly high level. About twenty years ago – at 40 years old – my mom was diagnosed with breast cancer. This was a complete shock to my family, because my mom was the gym teacher at school, a swim instructor and very active. At the time, we lived in what I call the “medical model” of health. When we were sick–we took drugs. We didn’t eat very healthy, or understand nutrition. round after round of chemotherapy. To this day, I remember what it felt like to worry about my mom. And she looked like she had aged 20 years in a matter of weeks. Praise God, my mom made it through and was diagnosed as being cancer free. But for the next 10 years, she was sicker than ever. She spent half of her life in bed. And she suffered from a whole range of health problems, including chronic fatigue, depression, constipation, thyroid problems, and overweight. Then, 10 years after being diagnosed as cancer free, the cancer came back... this time in her lungs. At the time I was living in Florida and working as a nutritionist in a local clinic. When she called and asked, “what should I do?” I flew home immediately. We prayed, consulted some of the best doctors in the country, and finally decided to take an all-natural approach. Over the next few months I utilized all of my resources, experience and every ounce of knowledge I had to help my mom heal. We began with eliminating processed foods, sugar and toxicity. Then we replaced these toxin-forming foods with a diet rich in whole, nourishing foods – including vegetables, lean protein, kefir and kimchi – plus healing herbs, and supplements. Within days she felt clearer, had more energy and was sleeping through the night. A few weeks later, she started to look years younger and said she felt happier than she had in years. We returned to the oncologist for testing after 4 months of this protocol, and he was in shock. The tumors had shrunk in half. 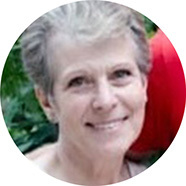 By simply changing her diet and lowering her stress levels, my mom eventually achieved complete remission – without surgery, drugs, radiation or chemotherapy. My Mom Waterskiing At 60, And Still Cancer Free! 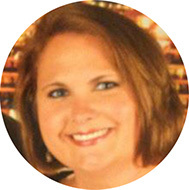 She lost nearly 20 pounds in the first 30 days and had more energy than ever before. Today, my mom is in the best shape of her life. She water ski’s every summer... In the last three 5K’s we ran together, she placed 2nd in her age group. She’s making up for years of feeling sick and exhausted and living her life to the fullest every single day. Ultimately, it was these basic principles that gave my mom her life back and set me on this course to share this health message with others. 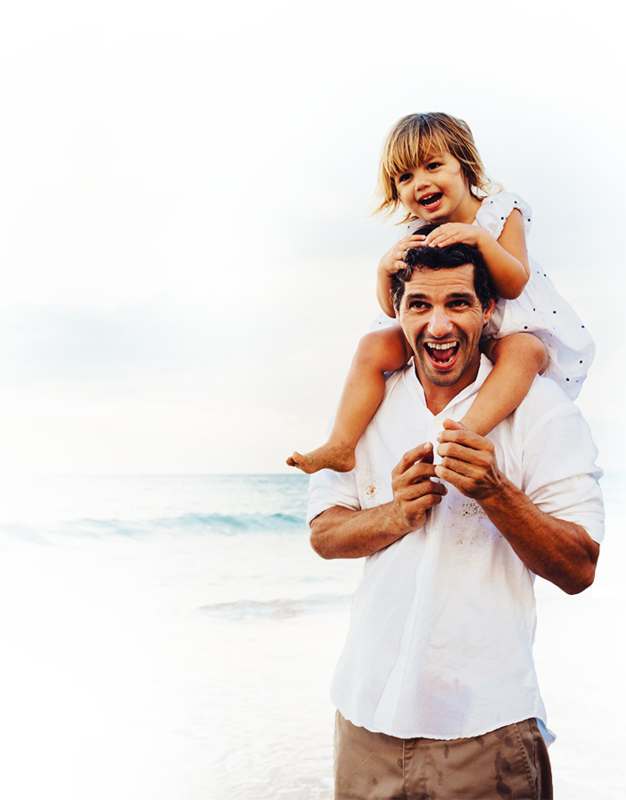 Now, I’ve helped over 1,000 patients in my practice in Nashville, TN use the same basic principles to heal a wide variety of chronic conditions... And take back control of their health and their lives. I know this program works not only from my own mom’s healing, not just from my formal education as a wellness physician and nutritionist, but also from seeing it work time after time with real people in my clinic. I can tell you that making a few strategic changes in these most basic areas of health – diet, toxicity, stress – will literally turn your health around. And that’s why I’ve created a program to support you in making these simple changes as easily and permanently as possible. I want to help you the same whay that I helped my mom. I hope you’ll join me. holding you back–and getting worse? How would your life be different if you felt 10 years younger? Is it hard just to find the energy to play with your kids at the end of a long day? Is it a constant struggle to stay focused? ...But you don’t have to settle with your health any longer. So, how would your life be different if you felt 10 years younger? If you had all-day energy. A rapid metabolism. Less pain and needed no prescriptions. If you could reverse chronic disease? If you could stay focused all day with a clear, crisp mind? How many of these issues are affecting you? But, what happens when you decrease toxicity in your body? going to happen: Your body will begin to transform. Have the energy to play with your kids at 7:00 at night, crawl on the floor and build tents…instead of wanting to curl up on the couch and veg out. Remember what you’re supposed to pick up at the grocery store… instead of being stuck in a brain fog, wondering why you’re standing in the middle of aisle 5. Not have to worry about stomach or digestive issues while you’re out with friends….not rushing to find antacids in your purse. It doesn’t want to be sick. You’ll be able to live your passion. You’ll be full of joy in life. Sometimes it can be complex so you may rely on someone to coach you through this process. Even the best doctors in the world spend their whole life studying the body…and we’re still making discoveries. So it’s only natural to get somebody to coach you through the process. BUT...WHY IS IT A ‘SECRET’? As a doctor, I’ve seen thousands of people transform their lives with this simple formula for natural, vibrant health. This ‘secret’ is hiding right under our noses. In fact, if I hadn’t seen it with my own eyes, I’d be skeptical, too. So, why aren’t more people doing it? 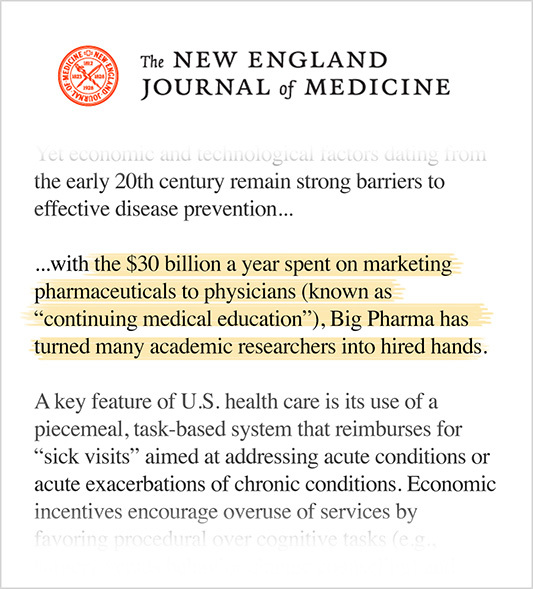 Well, for one it’s not profitable for big business, which is why they’re trying so hard to hide it from us. The drug, health, and even food industries have no incentive to recommend it. They’re more likely to hide it from you with lobbying and deceptive marketing than to tell you the truth. Think about it… your body wants to be healthy. The solution requires you to change some habits. And changing habits takes some discipline – but this program makes it completely doable. Ultimately, these are the same principles that gave my mom her life back and set me on this course to share this health message with others. The Secret Detox program focuses on cleansing and detoxification through a mixture of dietary change and supplementation. It can be easily incorporated into a busy schedule. And the effect is transformative. Introducing The Secret Detox, a 28-day gentle, guided program designed to support the body’s natural ability to heal itself, so you can be healthier and feel great. You could do all kinds of detox programs, supplements or foot baths...but if you’re still eating unhealthy processed foods, you aren’t doing your body any favors. Genetically modified foods like canola oil and soy can wreak major havoc on your health, disrupt your hormones, metabolism and increase your risk of disease. So, first you need to get the toxic foods out! 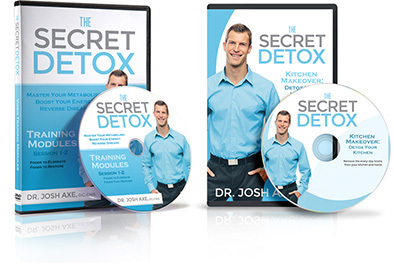 The Secret Detox gives you a roadmap for removing the most toxic foods, chemicals and even toxic supplements. There are 5 main foods that can help restore lost nutrients, and improve your overall health: seeds, vegetables, berries, coconut and clean organic meats. In The Secret Detox I’ve laid out a complete guide for each of these foods, the specifics for each and weekly meal plans to follow. You’ll get more fiber and nutrient dense foods in your diet to help you burn fat, boost your antioxidants, protect your cells and shuttle toxins out of your body. 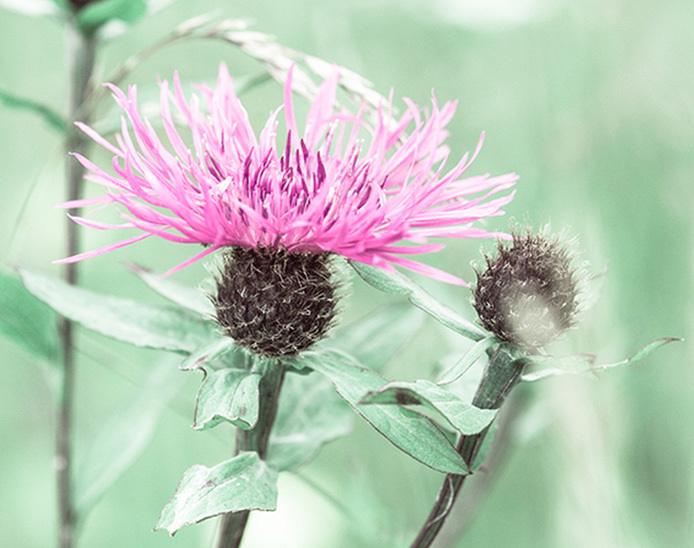 There are specific herbs and nutrients that support the detoxification of your cells and body, and Milk Thistle is one of my favorites (pictured to the right). God put specific organs in your body that support detoxing. The liver is one. Your liver is primarily responsible for detoxing any environmental chemicals, pollutants, radiation and medications. The liver just may be your most important detoxifying organ.After that, it’s going to be your digestive tract: your gut and your colon. Those are two of the things we really focus on in the Secret Detox Program: detoxifying your liver and your digestive tract. 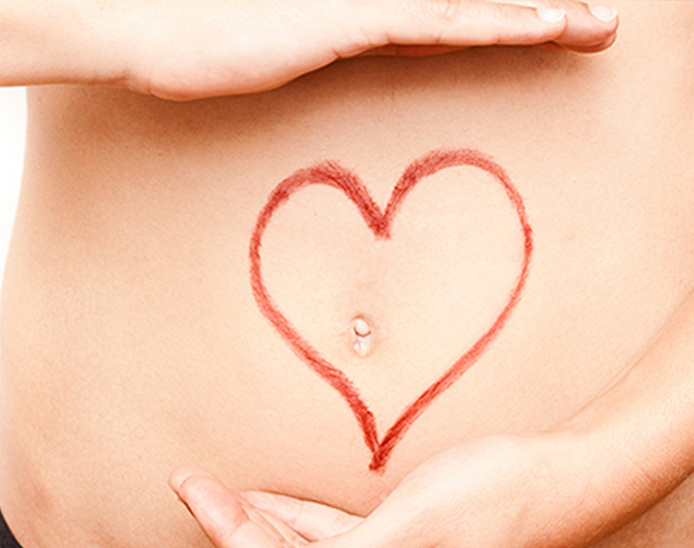 The digestive tract is critcal for health and healing. From this stems many of the chronic diseases that so many people are suffering from. 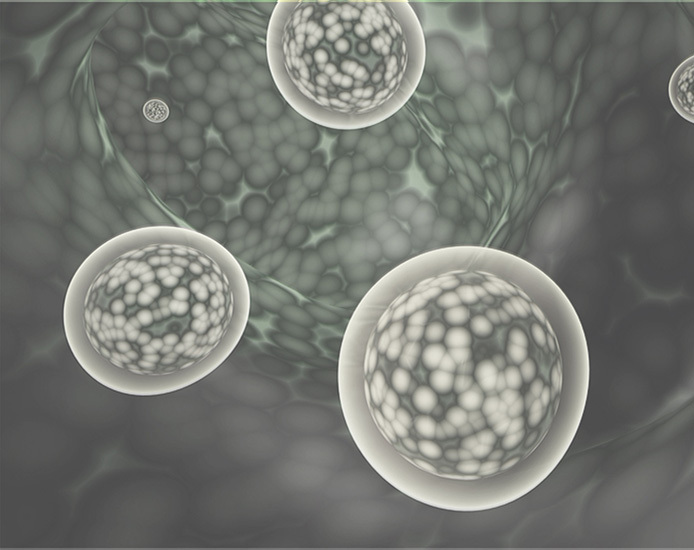 Poor eating can eventually cause cellular enzyme exhaustion. This lays the foundation for a weak immune system and ultimately disease. Foods like Turmeric, Kefir and Flax contain digestive enzymes, probiotics, vitamins and nutrients that can help rebuild your cells. The Secret Detox program walks you through the steps and foods you can use to begin rebuilding. As a Doctor, a lot of patients ask if this will really work, and that’s normal. 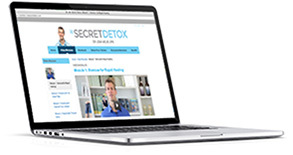 How Does The Secret Detox Program Work? 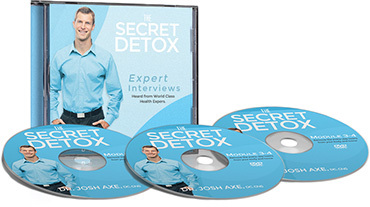 The Secret Detox puts amazing resources in your hands so you can change your life. All backed by Dr. Axe’s clinical experience. All for the fraction of the cost of any of these experts alone - and all for less than the cost of an office visit to your doctor. The Secret Detox starts with a week for shopping and getting ready. Ask questions in the Facebook group, and know exactly what to do, before you start, so you can ease right into the program. 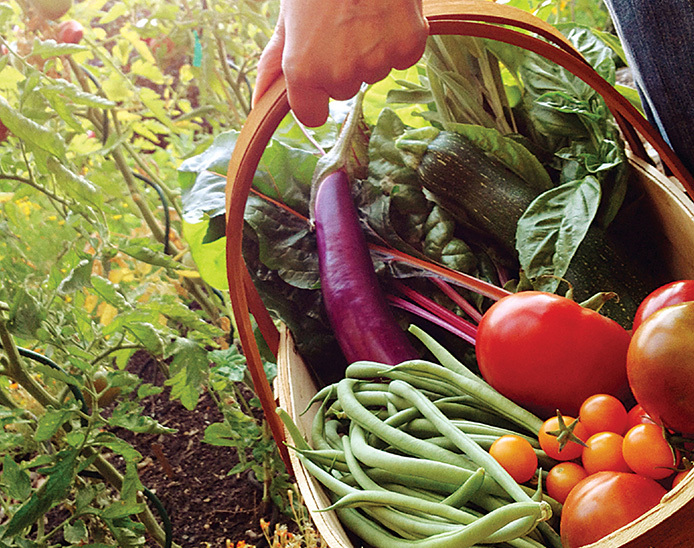 You’ll take simple actions and follow a simple eating plan. The program manual will give you everything you need, day-by-day. Join weekly LIVE coaching calls with Dr. Axe to keep you on track and answer any questions you have. Ask questions in the Facebook group with Dr. Axe, his team and the community. Once you finish your 28-day detox, you can take time to evaluate your experience. In week 6 you can begin transitioning to the Maintenance plan. You'll not only feel the immediate benefits of the 28-days, but you'll carry new health habits into your everyday life. We’ve put together all the support you’ll need to get any of your questions answered! You’ll also receive ongoing encouragement and support from Dr. Axe, his team and the community as you go through the program. 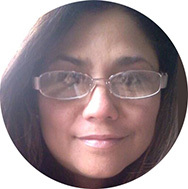 Get your personal questions answered, and advice for your specific situation. Dr. Axe will personally be in the private Facebook group, answering your questions. The team and the community are here to encourage you and help you stay focused. 1,000 past participants in my clinic in Nashville, TN and online. The solution may require you to change some habits. And changing habits takes some discipline – but this program makes it completely doable. The program is designed to help you get results. You have the support of Dr. Axe, the live calls, the printed materials, videos, audio recordings and the facebook group. We’re dedicated to helping you be a success and get back to feeling ten years younger. The information provided was comprehensive, easy to understand, motivating, and delivered in a professional, caring way. I felt like Dr. Axe was talking just to me, addressing all my concerns and questions. I would definitely recommend The Secret Detox to anyone, no matter what physical issues you are dealing with in your body. All of the participants, including myself, that were on the Facebook Support group had all different kinds of physical problems, and we all benefited greatly by doing the detox. It's not just a temporary fix sold on shelves. It not only helps you to get more physically sound and remove toxins in your body, it provides education and reason why you should not put certain things into your body. For ladies looking for a way to lose weight, I’d recommend this. I lost 19.8 pounds and feel lighter not in just numbers, but also in non-toxic ways. I feel cleaner, energetic and livelier. My digestive system is now quiet, no noise. Before I could hear and feel the gas moving as it went thru my system. I started healthy eating a couple years ago and just couldn't get as far as I wanted to go until I read your Detox and did the detox drink. I feel good and talk about your program to everyone I meet. Get direct access to Dr. Axe via the Facebook group. Ask your questions, join the community and stay on track. Submit your questions and join weekly group calls with Dr. Axe. Recordings will be available for download after the call. Supplements are optional, but available at a discount. If you have any questions or concerns about the program, call or email us. 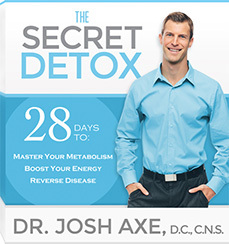 Try the entire Secret Detox Program. If you don’t LOVE it, I insist that you get 100% of your money back. Here’s why I offer this unbeatable guarantee: I know this material works. I only want to develop the highest quality material based on real science and proven results. Results that I’ve seen personally, with my family, my own mom and over 1,000 patients in my clinic right here in Nashville, TN. As you go through this program you’ll notice your mood, energy, and confidence begin to rise. 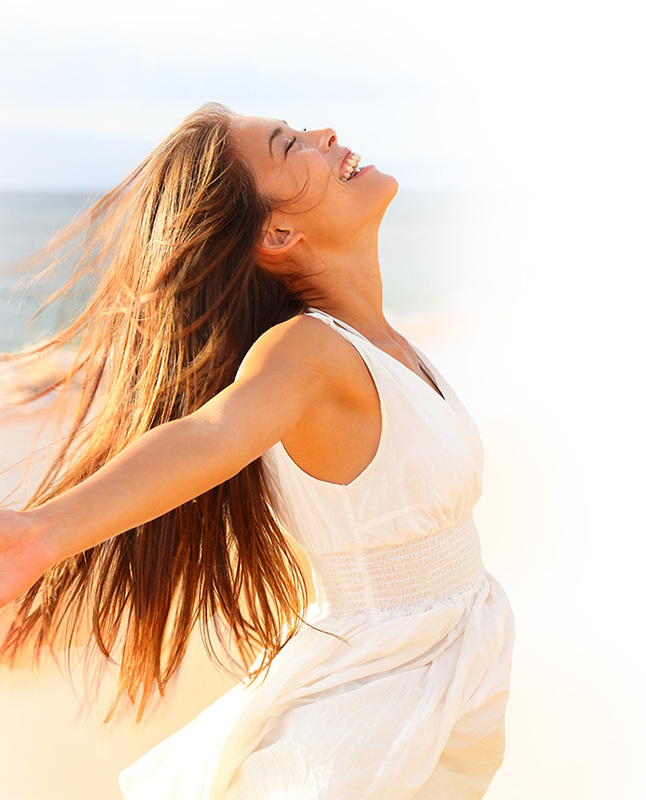 You’ll feel more vibrant and energetic, with a clear mind. Yes, you will begin to lose weight, but you’ll also begin to transform your health. Reducing pain, and the amount of medications that are holding you back. Go ahead, sign up today and you’ll get instant access to the program. If for any reason you don’t feel it’s a fit, simply contact our support team using the “Support” tab within the membership area and we’ll refund you 100% of your payment. No questions asked. 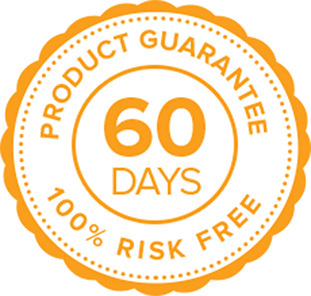 This guarantee is extended for a full 60 days, which completely covers the duration of the entire program. Try the ENTIRE course. If you don't love it, just let us know at ANY TIME during the next 60 days. I'll refund 100% of your price. No questions asked. What if I’m on prescription medicine? You should seek the advice of your health care provider. Diet and supplement advice should come from a qualified medical practitioner who knows you and you specific medical needs. While this is a program I’d have my own wife do while pregnant – I cannot recommend that for you. Diet and supplement advice should come from a qualified medical practitioner who knows you and your baby. But the great thing is that by purchasing this course you receive LIFETIME access! So you can purchase the program now and begin reviewing it and as soon as you are done nursing you begin the full program immediately. Can I still eat normal junk food? This is a whole food based detox, so diet changes are necessary. It’s totally do-able, and you’ll feel so much better at the end, you won’t want to go back to eating the way you used to. Results vary and it's very dependent on how well you follow directions and do as the course recommends. It's not uncommon for you to start to see a reduction in your symptoms in the first week that you start the full program (diet, supplements, lifestyle changes). After that many people will say things like “Wow, I can't believe how bad I used to feel" around the 4 or 5 week mark. If you’re seeking a full reversal of all your health symptoms then you should know that I believe it is possible. Also, know that it takes dedication and time. 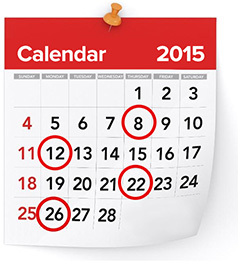 For most chronically sick people, it can take more than a year. Some take years. And there are others who may have damage beyond full recovery. Nothing is guaranteed when it comes to your health… but I don't think you'll be upset with your progress. If you are, I certainly don’t want to keep your investment and you can get a full refund, even 30 days after the program is over. Supplements are recommended, but are NOT required to participate in the program. They’re meant to support and supplement the healthy diet and changes you’ll be making in the program. Can I use somebody’s else’s supplements? Yes, the specifc ingredients to look for are listed inside the program binder. What if I can’t make it to the live calls? No worries! We’ll record every call. You can submit your questions ahead of time, and listen to the recording at your convenience. I already bought the program and I can’t find the email with my login information? Please email support@draxe.com and we’ll be happy to help you out! Can I purchase 1 program to use with my spouse/friend or with a group? I’d like to buy the program but I’m going on vacation, can I start a week late? Yes! Your purchase includes LIFETIME access, so you can start now, or in a week or next year. Who is Dr. Josh Axe? Dr. Josh Axe is a C.N.S. 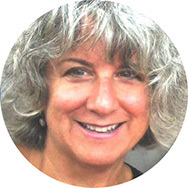 Certified Nutrition Specialist, expert in natural medicine, a speaker for Fortune 500 Companies (Nissan, Whole Foods) and a doctor of chiropractic. 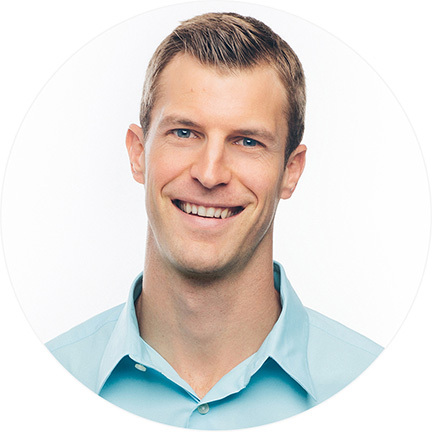 He’s a nationally sought-after speaker, bestselling author of The Real Food Diet Cookbook, a physician for Olympic level athletes (Ryan Lochte, among others) and a regular contributing writer for one of the largest U.S. natural supplement companies, Garden of Life. He runs draxe.com, providing real advice for health and wellness that families can actually use. You will have LIFETIME access to the entire program. Your body wants to be healthy. It doesn’t want to be sick. The body has an amazing capacity to regenerate and heal, if you give it the right material and avoid the toxins. The Secret Detox is a program for those who want to be free of chronic pain and disease, boost energy, and balance hormones. What you’ll experience on this program will be different from a lot of other “diet” programs out there that promote extremely restricted eating; encourage you to consume only shakes, juices, or smoothies; or rely heavily on supplements and very-low-calorie or very-low-fat diets to ensure success. The goal of any detox program should be to support your body in naturally cleansing itself of substances that create negative health effects—and that’s exactly what The Secret Detox does. You can experience what many others have already: better sleep, clearer skin, no afternoon energy slump, less bloating or pressure in the gut, improved digestion, better metabolism and more. Plus, you will have gained a new-found appreciation for how food can help heal almost anything – the RIGHT food. Don’t wait any longer. Join The Secret Detox today! *These statements have not been evaluated by the Food and Drug Administration. This product is not intended to diagnose, treat, cure,or prevent any disease. If you are pregnant, nursing or taking medications, consult with your health care provider before beginning any weight loss or detoxification program or supplements.